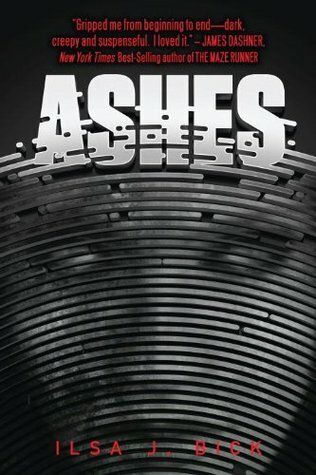 In preparation for Halloween, I selected a handful of creepy novels to read, and Ashes was my choice from the zombie-apocalypse genre. It's creepy, thrilling, and fast-paced, so buckle your seatbelts and hold on tight. The horrifying tale starts out in the wilderness where teenage Alex is hiking alone. Why is she hiking for days alone in the woods without any kind of supervision or companionship? Well, apparently she's trying to "figure some stuff out," aka decide whether or not to kill herself before the tumor in her brain does the job for her. I understand that she's been through some heavy stuff, but I mean what seventeen-year-old is just allowed to wander in the deep mountains alone for an indefinite amount of time? My parents would have had a conniption if I even voiced such an absurd idea. Anyway, I digress. Bick launches into the intense plot pretty quickly. Before you know it, you're worried about teenagers gnawing on guts and wild dogs chomping their teeth. Alex is surprisingly adept at surviving in the wilderness, and she takes a little girl under her wings. One of my favorite aspects of the novel was the attention to detail when it comes to living on very little. Bick clearly did some research on what it takes to survive in a situation like this one, and I enjoyed reading about methods of finding shelter and purifying water. Speaking of survival skills though, how am I supposed to believe that Tom and Alex, two young adults, can do literally EVERYTHING from stitch up a wound to name every type of gun? I get that Tom was in the military and Alex happened to have very outdoorsy (and medically trained) parents, but come on. They seemed to understand way more than their small number of years should permit. I ended up rolling my eyes more than a handful of times. After the catalyst that killed millions and left many others "Changed," Alex realizes that she has a heightened sense of smell and can somehow smell the truth? And emotions? I'm not quite sure what was going on there, and even though Bick starts to expand on it a little, I found the whole thing a bit strange. Not sure I would have included that aspect if I were the author. It just makes Alex seem even less relatable. A nitpick I have: Why are the chapters so dang short, especially at the beginning? It seems like every three pages there's a new chapter, even though there is absolutely no reason to break the story up so much. The constant chapter changing jolted me out of the story and made no sense, but maybe that's just my personal opinion. Also, the love triangle: whhhhyyyyyyy. Why. If you ask me, there was literally no point. I'm not going to set off on a tangent about unnecessary romances, but I definitely felt that the two love interests in this novel were detrimental to the overall mood and theme of the book. Although the story ricochets off within the first few chapters, Bick slows things way down about three-quarters of the way through. I found myself losing interest for a little while, and I know I'm not the only reader who thought the novel lost some momentum. Thankfully, Bick does throw in a twisted ending that left me pretty shocked. 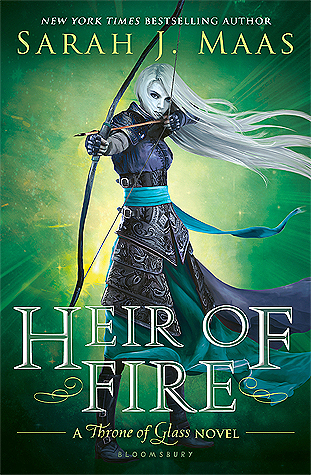 I had already decided not to check out the next two books in the series because I just wasn't interested enough, but that ending does tempt me to give Shadows a shot. We'll see how I'm feeling later. So, to sum it all up, here are my thoughts on Ashes: It's a crazy rollercoaster of a zombie novel with some weird quirks like strange abilities, stupid romance, and unrealistic characters. I had fun with the whole end-of-the-world trope, but I could have done without some of the other poorly-executed plot devices. If you're just in the mood for some gruesome people-eaters and action, I won't dissuade you from giving this one a chance.